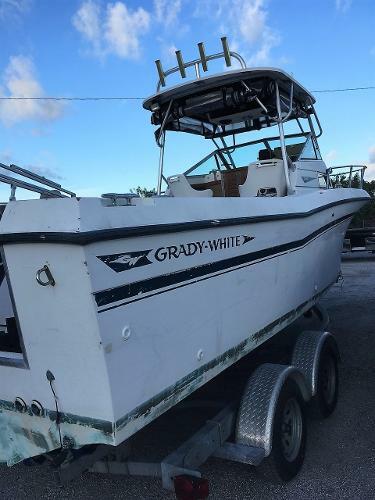 1986 GRADY WHITE 24 OFFSHORE powered by YAMAHA This pre-owned walkaround boasts a positively huge cockpit area and an 8’3” beam. Offshore 24s give you true blue water performance in an easily towable package. 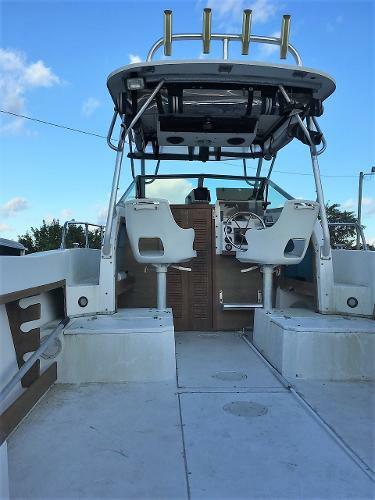 The 110 square feet of self-bailing cockpit and walk around cabin area are packed with fishing features. You’ll find a built in bow anchor locker, a lockable radio box big enough for VHF, tackle drawers port and starboard, and over 300 quarts of insulated fish box capacity. There’s cockpit rod racks for 10 rods, standard rod holders, even a teak toe rail for extra security when reaching out to gaff a big one. You get the picture; it’s all here in a hand-laid, foam filled, solid fishing machine. Shopping for a New or Pre-Owned Boat? You came to the right place. Shop lots of boats for sale, check out our boater’s learning center and easy financing options which all add up to the best way to go boating! We do boating right from web to water! For over 30 Years… Florida’s Premier Family Owned Boat Dealership with Convenient Locations in Fort Pierce and Melbourne Florida with old fashioned friendly boat and engine service. When it comes to everything boating, new boats or used boats, Top Notch Marine is 100 percent committed to earning your business and becoming an exceptional, full-service boating resource for you. Here you will find the best boat for your family. Our goal is to earn your business through professional attention and care. Our sales, service and admin teams eagerly await the opportunity to serve you. We really have the perfect boat, service and parts for you. We’re about fulfilling your boating dreams and making today the day you realize that dream. Did you know we buy boats and gladly accept trade ins? 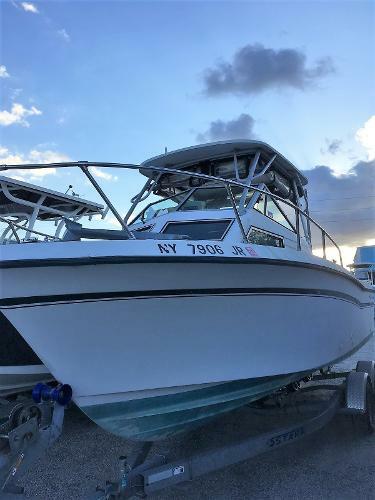 We are interested in the following boat brands, types and models: Boston Whaler, Jupiter, Grady white, Robalo, Yellowfin, Scout, Sea Hunt, Action craft, Pathfinder, Sea Ray boats, Cobalt , Four winns, Chris Craft, Cobia boats, Key West boats, Road King, Magic tilt, Mercury, Tidewater, Sea Hunt, Parker, Yamaha, Sea Pro, Sea Craft, Regulator, Sportsman, Chaos, Jupiter, See Vee, Intrepid, Everglades, Edgewater, Pursuit, Hurricane Deck Boats, Wellcraft, Proline, Everglades Bay boats, Carolina Skiff, Nautic Star, world cat, Glacier Bay, Chaparral, Release, Glastron, Tahoe, Crownline, Regal, Rinker, Robalo, Mako, Seahunt, Hewes, Maverick Flats Boat, Pathfinder Bay boats, Pursuit Boats, Berkshire Pontoons, Bennington pontoons, South Bay, Premier, Harris, Scarab Jet boats, Yamaha Jet boats, Angler boats, Chaparral boats, Chaparral deck boats, seapro Bay boats, Boston Whaler Montauk, Boston whaler outrage, everglades skiffs, Edgewater walk arounds, Aluminum fishing boats and Bass Tracker boats.